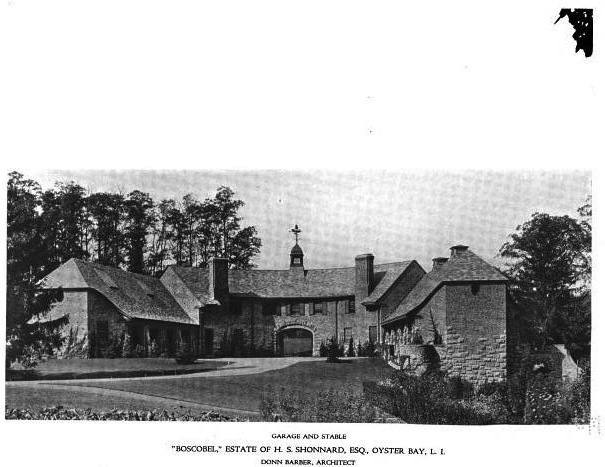 'Boscobel', the Horatio Seymour Shonnard Sr. estate enlarged by Donn Barber c. 1918 in Oyster Bay. 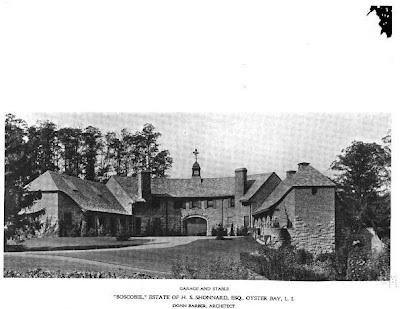 The house, which is not pictured, was built for Francis T. Underhill c. 1885 with alterations by George Post c. 1888. 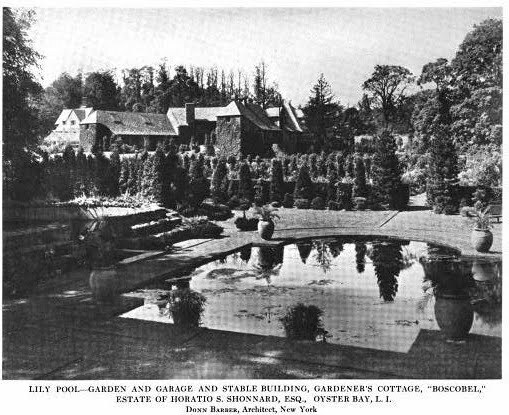 Barber changed the house from a Queen Anne to a Colonial Revival as well as adding a garage, stables, boat house and formal gardens. Shonnard was a stockbroker and descendant of Horatio Seymour, governor of NY in the 1850s. The house was demolished in the 1950s but click HERE to see the extant stables and some of the gardens and HERE to see the property on google earth. If I can locate pictures of the main house I will add them. 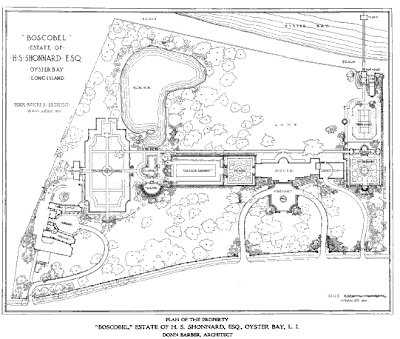 Click below to see the site of 'Boscobel' in a 1966 aerial shot with some of the gardens still intact. 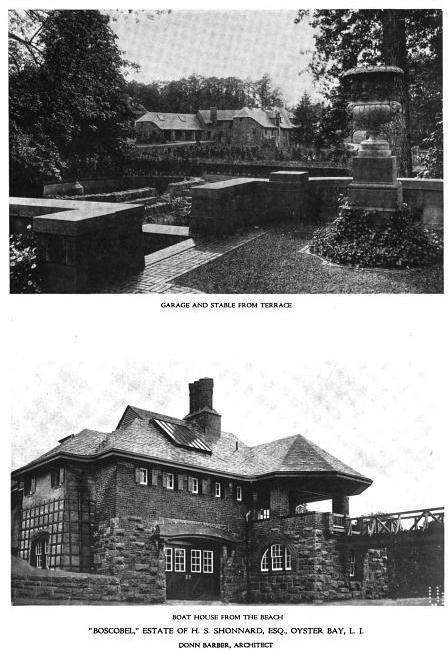 Pictures from Architectural Review, 1918. I want to live in the stables. Fantastic embracing form, and stately too, even a bit looming. I like that. magnificent. this property is amazing too bad it is not intact today. esp. the pool with the steps leading down into it. 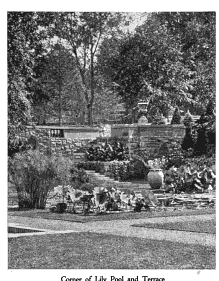 a great use of stone in the gardens and the buildings. but my fave is the boathouse. what a building. lots of high victorian details. i'll take that. i also like the gardens that combine water features with the flowers and shrubs. (real water features not phony streams and waterfalls a la mcmansions.). the house must have been something if the gardens and out buildings are any indication. OMG!! zach discovers bing. TYTYTY!!! 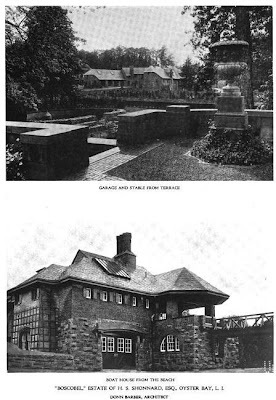 amazing that that much of the gardens and the garage survived but my beautiful boathouse - gone to smash. what would you call the style of that house on the property - early nondescript? also, the dock extending from the lake appear to have had a building on the end of it. que? I discovered Bing 2 years ago. The reason I prefer wikimapia is because I and others can tag the sites, giving them an outline and a box with info. With Bing all you get is an image, so for the case of the Boscobel stable it works fine but if the house is obscured by trees its more or less worthless. For TPR. 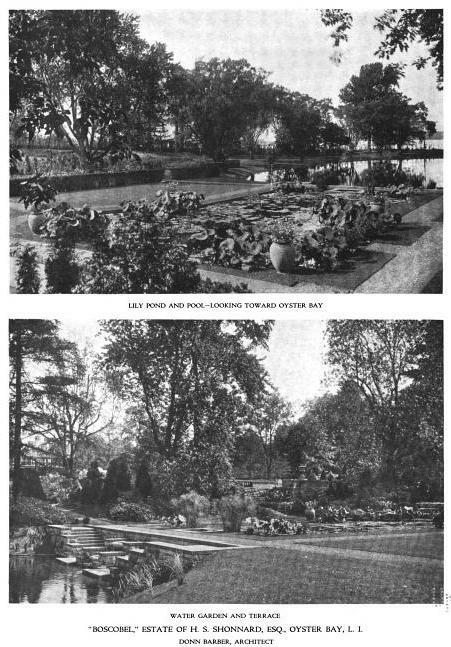 Boathouse is still there, three houses to the east. There are also two fantastic brick cottages. The original house was torn down by Temple Bowdoin (who called estate Nevis,after the island where his ancestors, Alexander Hamilton's family were from)because his second wife didn't want to live in the first wife's.........J. When I lived accross the road form the property, the locals told a diffeent story about it's demise. It was said the house burnt down and it was very suspect since the nearby fire department never made it there in time. I wonder which is true. Is there a Bowdoin decendent to defend the family honor against this rumor which I will continue to tell unless corrected. 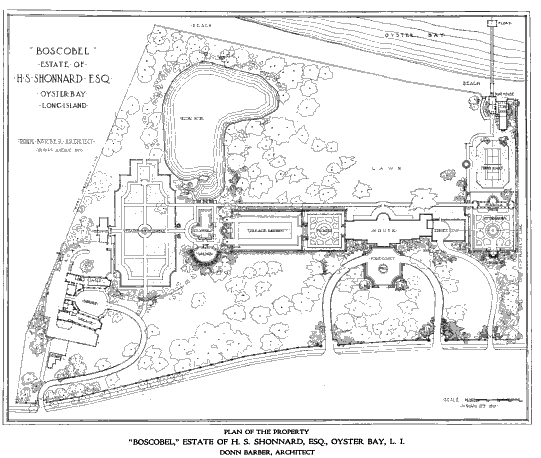 HS Shonnard was my grandfather and owned Boscobel before I was born. My mother grew up there, and remembered a rather grand type of life, with servants, chauffeurs, and a full crew for the yacht "Sonnika" moored in the bay. My grandmother Elizabeth was the daughter of John Joyce (Galway)who became the main backer of Gillette Razor. Hence, Boscobel, and everything else. HSS was not a stockbroker, but more of a big spender and blind speculator, trading on full margin till the Crash of 1929. That probably occasioned the sale of Boscobel, and HSS, ever the gentleman, then left my grandmother. A fascinating, festive lady, she moved to an apartment in New York and lived a good life till 1948. HSS spent the rest of his days drinking martinis in his numerous English suits, and courting, then marrying two more ladies of supposed means. I met him twice, and we did not get along. No idea when he died.